Account passwords are very important and really essential to protect your personal data. But what if you somehow forget the password? You won’t be allowed to get access to your own data and that is really unfortunate isn’t it? It has happened to a lot of users and they mostly panic. Without finding out how to remove password from laptop they tend to reinstall the OS that wipes all the data from the device completely. This is a very unusual situation, but there are very easy ways to get access to your laptop again. 3 of the very effective procedures are mentioned below, you can use any one of them to bypass your Windows Laptop password. The Net User Command is very useful when you are trying to remove password from laptop. It is a very effective command for managing Windows Password. 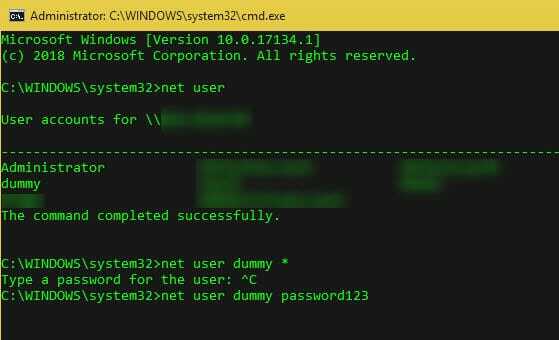 You have to launch the Command Prompt then follow the instructions below to delete or remove the Windows Password. 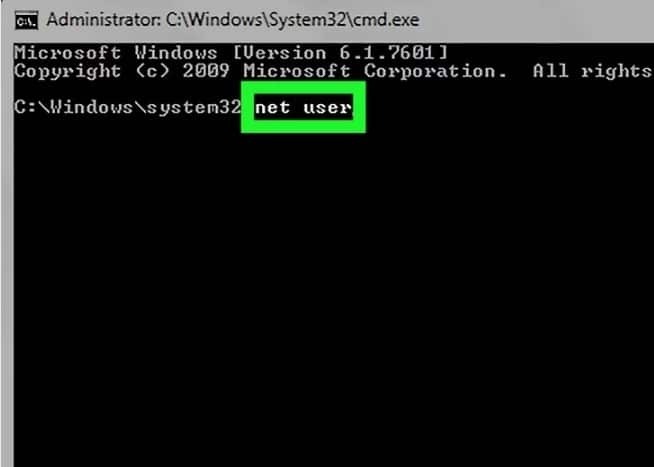 Step 1: Type “net user” in the command box and you will be able to see all user accounts. Step 2: Find the account whose password needs to be changed, then write “net user ‘USER NAME’ NEWPASS”. Step 3: Press ‘Enter”, after a few moments you will get the message that the procedure completed successfully. It is quite short but very useful procedure if you are trying to change or remove the password of your user account. Password Reset Disk is one of the oldest methods if you wish to remove laptop password Windows 7. It is simple and quite efficient. The full description is down below. Step 1: After creating the Reset Disk, connect it to the locked Laptop. Step 2: Then, reboot the Laptop and in the welcome screen select “Reset Password”. Step 3: Again, click “Next”, the wizard will appear on the screen. Step 4: After that, choose that USB drive from the options and click “Next”. Step 5: Now you will get a prompt to put in a new account password. Step 5: Now, the wizard will work on unlocking your laptop. In the end, you will get a confirmation message. Password Reset Disk in the most used procedure to unlock Windows computers, you can also use it to remove laptop password Windows 8. The most effective and user-friendly method that will remove laptop password Windows 10, is definitely Windows Password Recovery. Quite frankly, it is a third-party software but capable of even bypassing the lock of Administrator accounts. So, it will be best for you to know this method if other ways have failed to do their job. The procedure has 2 parts, the first part consists of making a Recovery Disk/USB with the tool and in the second part, you will be using that disk/USB to bypass the lock of your Laptop. Step 1: first, you need to download and install Windows Password Recovery Tool from the internet. Step 2: After that, connect a USB drive to the Laptop. Step 3: Now, you can launch the program and choose the USB drive from the list of drives. Step 4: Select the “Begin Burning” option and the program will turn the USB drive into a Password Recovery Disk. Step 5: In the end, click “OK”. Step 1: After creating the USB, you need to connect it to the locked Laptop. Step 2: Reboot the Laptop and then during the start-up, keep on tapping the “ESC” key or the “F12” key. The actual key varies from laptop to laptop but it will take you to the Boot Menu. Step 3: In the Boot Menu, select the inserted USB drive and press “Enter”. Step 4: The recovery Tool will load on your Laptop, wait a few minutes. Step 5: Then, select your Windows System and then select the account whose password needs to be bypassed. Step 6: Finally, click “Reset Password”. This is an extraordinary recovery tool, capable of completing the task within minutes. The device will reboot automatically after the procedure is complete. Hopefully, you don’t have to struggle with your locked laptop anymore. The methods discussed above include very effective ways on how to remove password from laptop or desktop. You will be able to use them very easily to unlock any Windows computer but if you are locked out of your Administrator account then your only option is to use the third-party recovery tool, Windows Password Recovery Tool. Highly recommended!